IN KYOTO, one grows accustomed to the ongoing round of festivals at Buddhist temples and Shinto shrines—it’s said that you could attend at least one every day here, throughout the year. But the word ‘festival’ doesn’t quite capture the spirit of the majority of these events. With some notably lively exceptions, they are mostly rather formal annual cere­monies and rituals that commemorate specific seasonal events or histori­cal personages, some dating back well over a thousand years. Clearly, a great deal of community commitment has been invested in enshrining them in each new generation’s collective memory. Beyond the recycling of historical narra­tive, many of these ancient annual rites focus on celebration of transient aspects of daily life. For instance, at the Hari-kuyo (針供養) rit­ual held in December at Horin-ji Temple, used sewing needles are brought to the temple, thanked for their hard work, and ceremoniously pressed into soft konnyaku jelly – apparently a gentle reward for their labors. In the widely-observed Mushi­ kuyo (虫供養), Buddhist services are held for the numerous insects that lose their lives dur­ing the local rice harvest. A festival for Kado (花道 the Way of Flowers) is held by the pond of Daikaku-ji Temple, with a wide variety of the new season’s ikebana arrangements on display. Flowers are cere­monially offered to the spirit of Emperor Saga, the founder of the Saga School of Flower Arrangement, marking the anniver­sary of his death on April 15, 842. In a Heian-style garden at Jonangu Shrine the Kyokusui no Utage (曲水の宴) recreates an elegant pastime of the nobility in which floating sake cups are sent down a winding stream, and participants (in ancient court dress) capture the moment by writing a 31-character poem before the cup reaches them. 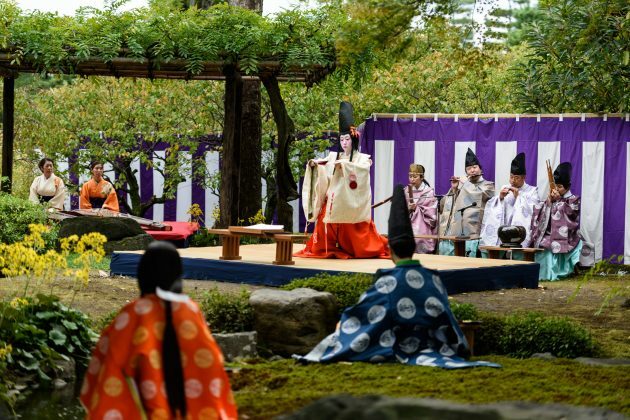 A memorial ritual (業平忌) is held for former local Ariwara-no-Narihira (“one of six great poets of the Heian period” – also known for “numerous philanderings”) at Jurin-ji Temple, joined by traditionally-minded literati. Shomyo chanting is accompanied by shamisen, in a ritual unique to Jurin-ji. Traditional dances, flowers, calligraphy, koto music, and tea are offered. In the Aoi Matsuri (Hollyhock Festival 葵祭) nearly 1,000 people in Heian-era costume reenact an imperial procession from the Imperial Palace to Kamigamo Shrine, originating in the seventh century. The overnight Uesaku Himalayan Full Moon Festival (ウエサク祭) is held at Kurama-dera Temple in May, in honor of Bishamonten. The Miyawatari-sai (宮渡祭) ritual at Kitano Tenmangu Shrine, dating from 947, commemorates the enshrinement of Sugawara-no-Michizane, a scholar and statesman of the early Heian Period, as the shrine deity. In June Kitano Tenmangu also has an Oak Leaf Ritual (), in which rice is wrapped in new oak leaves and offered to guard against illnesses occurring with the change of seasons. Said to be among of the events in Japan (dating from the 8th century), the Nagoshi no Hara-e (夏越の祓) Summer Purification Rites are held at Kenkun-jinja, Jonangu Shrine and Jishu-jinja Shrine, among others. Devotees pray to be freed from impurities acquired in the first six months of the year, and ritually step through a large standing hoop made of reeds (chinowa) for continued protection. Kyoto’s largest, best-known festival, Gion Matsuri (祇園祭), originated in 970, and last month, climaxing in mid-July with street festivities and a procession of 32 richly decorated floats, mostly dating from the 16th century. The O-suzumi Festival (お涼み) at Jonangu Shrine “stems from the practice of visiting shrines for cool comfort, just before the summer heat sets in.” Two large blocks of ice, with ritually purifying sasaki branches frozen inside, stand in front of the altar, gradually melting as worshippers stroke them and pray for good health. 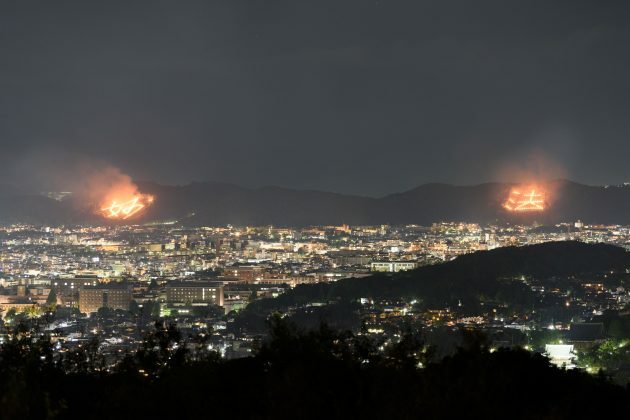 The Gozan-no-Okuribi fires as seen from Shogunzaka. This month many Manto-e lanterns or candle-lighting rituals are held to welcome back the souls of ancestors for Obon (お盆 —a tradi­tion adopted from China in 656), and then send them off again. The Daimon-ji Festival or Gozan no Okuribi (五山送り火) features bonfires set out in the shape of kanji and other symbols on the hillsides around northern Kyoto. On the same evening, Manto-nagashi (万灯流し) lanterns are floated down the river at Arashiyama. Close by the pleasure quarters of Gion, Yasui-konpiragu Shrine holds the Kushi Matsuri (櫛祭り) in September to give thanks to old and no longer usable combs, for their assistance in making their women owners more beautiful. After the rituals, women in traditional costumes and hairstyles of vari­ous eras walk in procession around Gion. The Fushimi Misu Festival (三栖の祭り), at Misu-jinja Shrine features a deity procession and lion dance through the neighborhood. It appar­ently originated in a welcome given by vil­lagers to Emperor Tenmu as he was traveling to Otsu once, around 782. 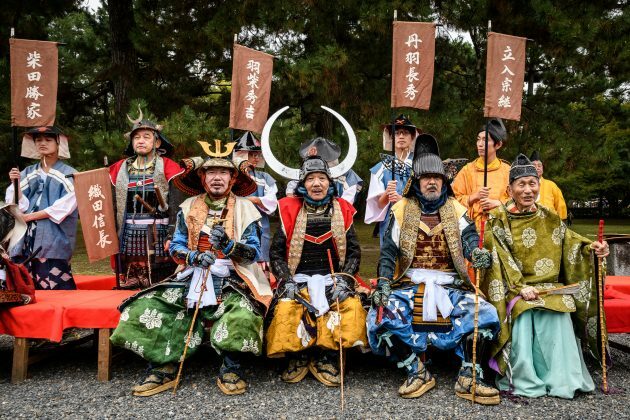 Mibu temple offers Dai Nembutsu Kyogen (大念仏狂言), a series of short pantomimes comparable to medieval European morality ?lays, initiated by the priest Enkaku in the early 1300s. The Jidai Matsuri (時代祭), established in 1894 Kyoto’s 1,100th year), features a street procession costumed to represent every era of Kyoto’s history – except the most recent. 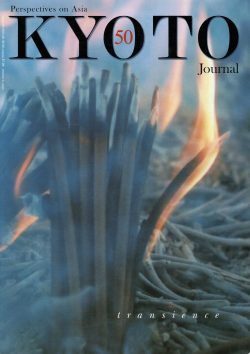 The Kurama Fire Festival (鞍馬の火祭り), held on the evening of the same day, is way more exciting, and dates from Kyoto’s first emperor sending torch bearers annually to Kurama from 794. At the time of richest maple colors, Sekizanzen-in Temple holds the Juzu Service (数珠供養) and fire ritual for old, no-longer­ used prayer beads. In the Okera Festival (白朮祭), an old New Year’s custom at Yasaka Shrine, worshippers light short pieces of cord from a special fire. Whirled around to keep them alight on the way home, they are used to light a candle on the family altar and the fire for the first meal of the year. Later in January many shrines hold archery displays and competitions such as the Yanagi no Okaji and Yumihiki-zome (柳のお加持 Willow Incantation and 弓引き初め Archery Contest) at Sanjusangen-do. 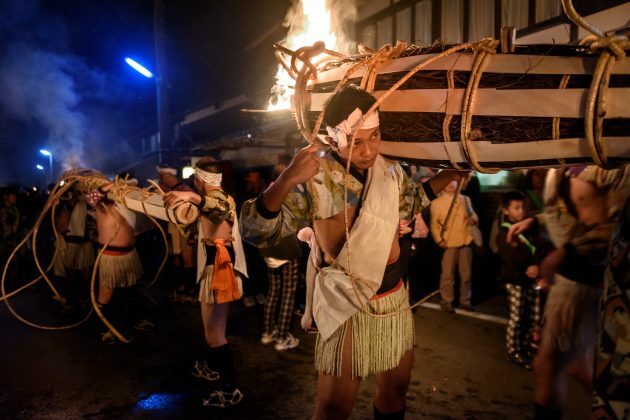 The Sanyare Festival (幸在祭) at Kamigamo-jinja is an ancient ceremony for boys who have turned 15, the age of adulthood in earlier times. Zuishin-in Temple in Yamashina celebrates the new season’s plum-blossom (観梅祭), and Ono­ no-Komachi (小野小町フェス), a poet and famous beauty of the Heian era. Songs and dances tell the story of her courtier suitor, Fukakusa Shosho, who pledged to make 100 nightly visits to prove his love, but died of pneu­monia after his 99th visit. Izumi Shikibu, another Heian-era woman poet, is commemorated in March (和泉式部忌) at Seishin-in Temple with chanting and prayer rituals. A folding screen is displayed, said to incorporate material from one of her robes. 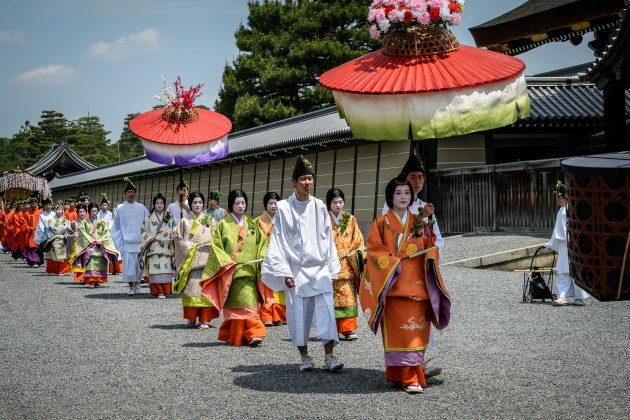 Gion Matsuri Festival Traveler’s Guide – 50% off! 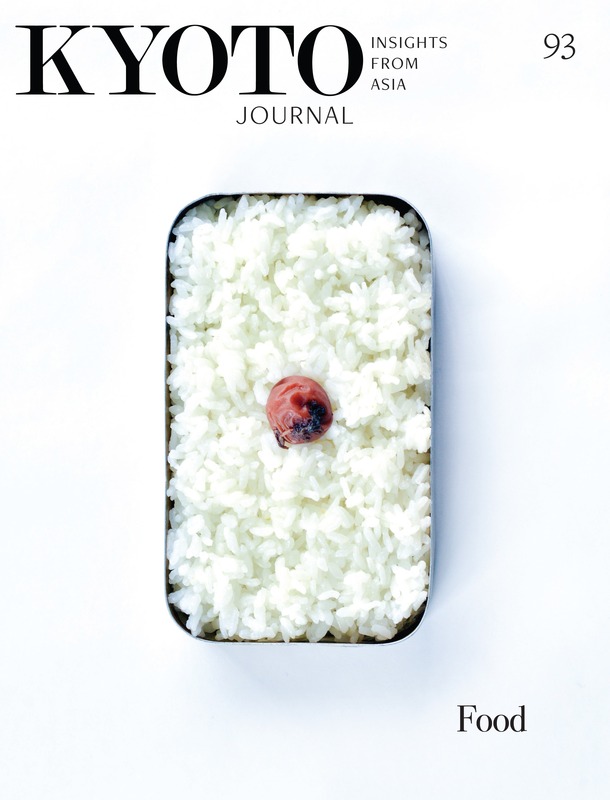 The Photographer’s Guide to Kyoto – 40% off! Ken Rodgers is KJ’s Managing Editor. Patrick Hochner started taking photos in his native Alsace, France, when he was 14. His dream was to become a photographer and travel around the world. He arrived in Japan in the 70s, married, and stayed in Japan for 30 years—though not as a photographer. But it’s there that he restarted photography, directly in the emerging digital world. Kyoto is his home for much of the year, where he continues to learn about its rich traditional culture.